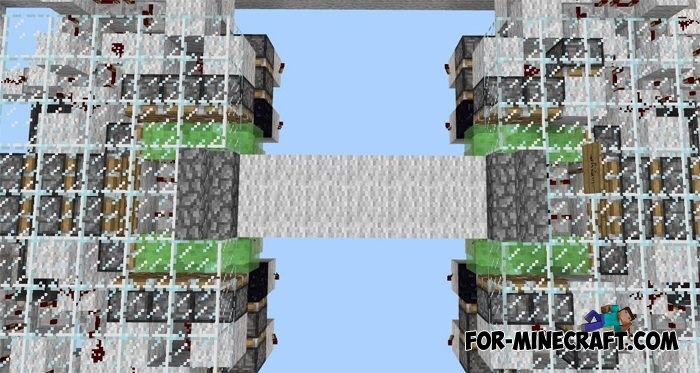 Do you want to learn how to build complex redstone mechanisms? Then you can download this map and find out by yourself how to build one or the other mechanism. There are 5 very cool structures, consisting of a variety of redstone blocks and items which are combined together. It is really very difficult to build it alone so the author has built this for you. You just have to read the information on signs and press buttons. There is an elevator which can move you to any floor (you can build the tallest building height of 256 blocks and not use the stairs). The map contains a unique protection system of your things, which is impossible to hack. Ultimately, Useful Redstone mechanisms is the guide for those who often uses redstone and creates interesting mechanisms.